Wolverhampton based tax specialists R&D Tax Claims Ltd have been nominated as finalists in the Best New Business Category in the Express and Star Awards 2014. The awards, held on the evening of Thursday 15 May will showcase the best of West Midlands business talent. 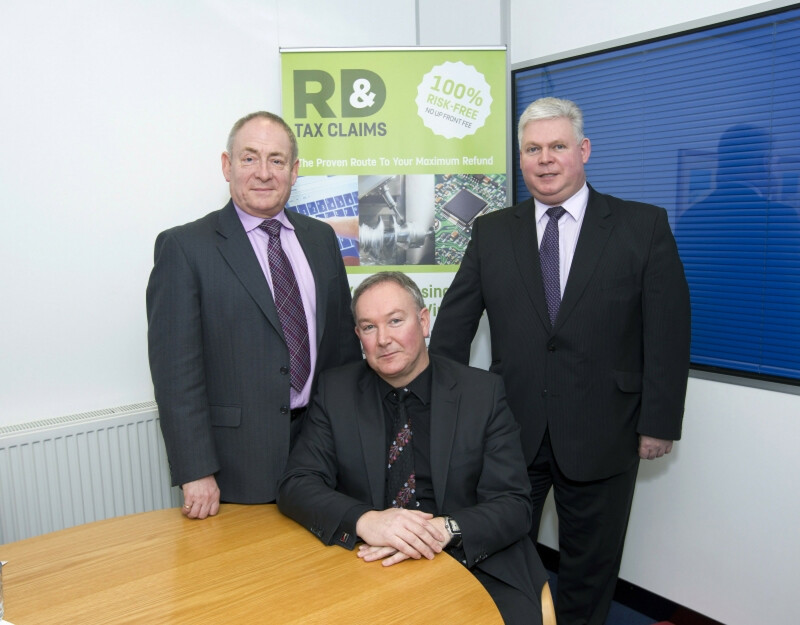 R&D Tax Claims was founded by Mark Evans FCA in January 2012. The company employs five people. R&DTC specialises in helping companies in the manufacturing and technologies sector that invest in research and development (R&D) to claim back, from HMRC, extra tax relief on every pound the business spends in developing new products or introducing new and improved processes. The company has a 100 percent success rate in claims. Mark, a chartered accountant, spotted an opportunity to help manufacturers when the recession started to bite in late 2008. Companies began to realise that the only way out of a worsening situation was to look at new ways of working; innovate, research, streamline, work leaner, fitter, better. Marks research showed that few manufacturing companies knew about the existing R&D tax credit scheme and how it could ease financial problems; problems caused by reduced cash flow due to a slow order book, cessation of bank lending and lack of revenue and profit from product still in development. Moreover, he discovered that the people aware of the scheme were battling to survive and considered any investigation of it to be time consuming and complicated, and therefore expensive, at a time when their energies needed to be concentrated elsewhere. After establishing the need for a specialised tax consultancy service for embattled company owners fighting their way through the worst recession in decades, Mark formed R&DTC. The company works with SMEs, that is, companies with less than 500 employees and a turnover of less than 100 million euros, to help them receive tax refunds quickly, as well as similar annual reductions on their corporation tax bills in the future. The company operates on a no win, no fee basis. Claims are made every year, and many of R&D Tax Claims clients are now enjoying their third and fourth year refunds. The Government scheme is open to businesses operating in the UK manufacturing sector, which includes engineering, electronics, aerospace, pharmaceutical, bio-tech and communication systems and any business involved in innovating, exploring new products or niche markets or software development. Certain environmental improvements could also be eligible. Research and development that results in a failed experiment or prototype is also included under the scheme and is eligible for a tax saving. Since 2012, total refunds for R&D Tax Claims have been £4,176,300 with an average claim of over £67,000 per client, but when including other claims made in addition to his new company, Mark has won back an incredible £15 million for businesses since 2009.